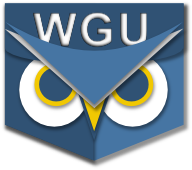 Hot on the heals of our major new release (and subsequent bugfix), WGU has made some changes to the Community site that breaks all versions of PocketWGU (as well as community access from the student portal home page). Anyhoo, version 2.0.17 is out for Android with the fix. A new release for iOS (1.8.4) has been submitted to Apple for their review and will (hopefully) appear in the next few days. Update: 12/21/2014: PocketWGU for Android 2 (211) enters beta testing. Email us to sign up. Update: 11/6/2014: Fourth alpha verson (204) is available for testing. New video subsystem. Update: 11/2/2014: Third alpha verson (203) is available for testing. Updates for tablet UI. Send us an email if you want in. Update: 10/12/2014: Initial alpha verson is available for testing. Send us an email if you want in. Using PocketWGU on Android? Better update! Howdy! The nice folks at WGU have made a major change to the Student Portal to dramatically improve the speed and reliability of getting your Degree Plan information. They've done an AWESOME job. I won't bore you with the details, most of which are behind the scenes, but the new system is much more performant. On the downside, this did break the "Courses" part of PocketWGU. On the upside, fixing PocketWGU to use the new portal was a breeze because of the great job WGU IT did. The new version of PocketWGU for Android, 1.9.10, is available now on both Google Play and the Amazon Market. We strongly recommend that ALL users upgrade to this new version: it's the ONLY version of PocketWGU for Android that will continue to provide updated course/degree information. Thanks! Read more about Using PocketWGU on Android? Better update! A new release of PocketWGU for iOS (iPhone, iPad, iPod Touch) is now available. Version 1.8.0 contains a number of bug fixes and improvements, mostly in working with courses. Access to the CoS should now be faster and more stable. A new "Open in TaskStream" option is now available for Performance Assessments. Selecting "Course Videos" will now automatically log into Panopto to provide access to all videos for your account. Give it a spin and let us know what you think. If you run into any problems, shoot us an email to let us know. The speed-up and fixes in CoS access were a direct result of helpful emails from user K.C. (Thanks!) and from everyone who chose to submit crash reports. We couldn't have done it without you! Howdy All, there's a new version of PocketWGU for Android working its way through the Google and Amazon review process. It should be live on both stores within the next couple of hours. There are a few changes in this version, all focused on making it easier to work with individual courses. When you select an individual course, you will see a screen similar to the one on the left. It will show some new options. The new "Course Mentors" link (bottom right) will provide you with the names, email addresses, phone numbers, and office hours for the Course Mentors specific to this course. Also new (and you'll only see this for "Performance" assessments) is the "Open in TaskStream" button. This will log you into TaskStream and take you to the "DRF" for the selected course, similar to the screen on the right, above. Also, we've completely rewritten the "Videos for this Course" subsystem (middle screen above) to provide more information, show more videos, and allow you to fully search (note that magnifying glass at the top) the entire archive of WGU video content available for your account. We hope you like these additions. As always, let us know what works and doesn't. Thanks! Thanks to the hard work of an excellent group of beta testers (Thanks!! ), the initial public release of PocketWGU for Windows Phone is now live on the Windows Phone Store. Go have a look and give it a try. The very first beta of PocketWGU for Windows Phone is now up on the WP app store. If you don't already have access, send us a note with your MS email (the one you use on your phone) and we'll send you the link.